Patrisha Organo feeds the infant during the flight. Organo shared the photo on Facebook and wrote that she concealed the baby's face for the family's privacy. Organo posted a photo of herself on Facebook breastfeeding the hungry baby, and the post has gone viral. 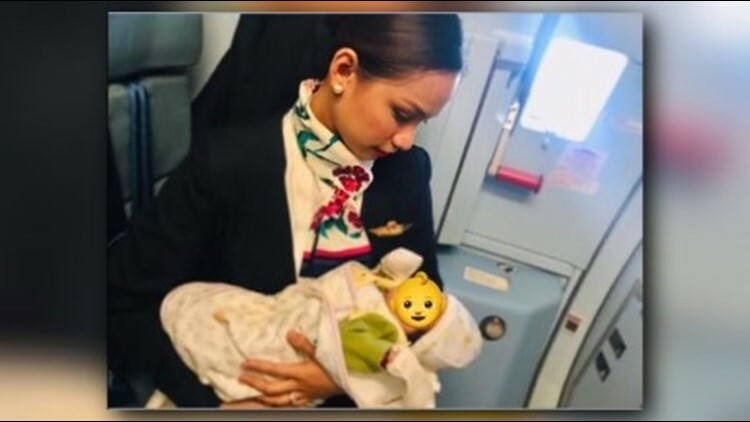 The flight attendant, who has a nearly one-year-old daughter at home, heard an infant fussing after takeoff. It was "a cry that will make you want to do anything to help," she wrote on Facebook. "I approached the mother and asked if everything's okay." "I felt a pinch in my heart. There's no formula milk onboard," Organo wrote. "I thought to myself, there's only one thing I could offer and that's my own milk. And so I offered." "I saw the relief on her mother's eyes," she wrote. "I continued to feed the baby until she fell asleep. I escorted her back to her seat and just before I left, the mother sincerely thanked me," the post continued. "Thank you, Lord for the gift of mother's milk," Organo wrote.